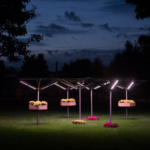 Students at the School of the Art Institute of Chicago (SAIC) have designed and built a temporary installation in Chicago’s Homan Square Park. 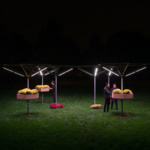 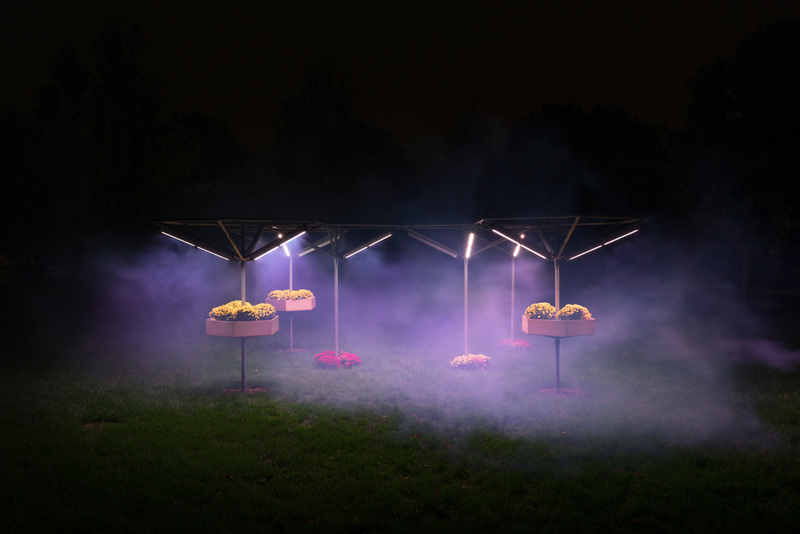 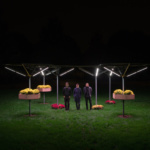 The installation, entitled bLUMEN, is the result of a summer course taught by architectural light artists Luftwerk and Chicago-based MAS Studio. 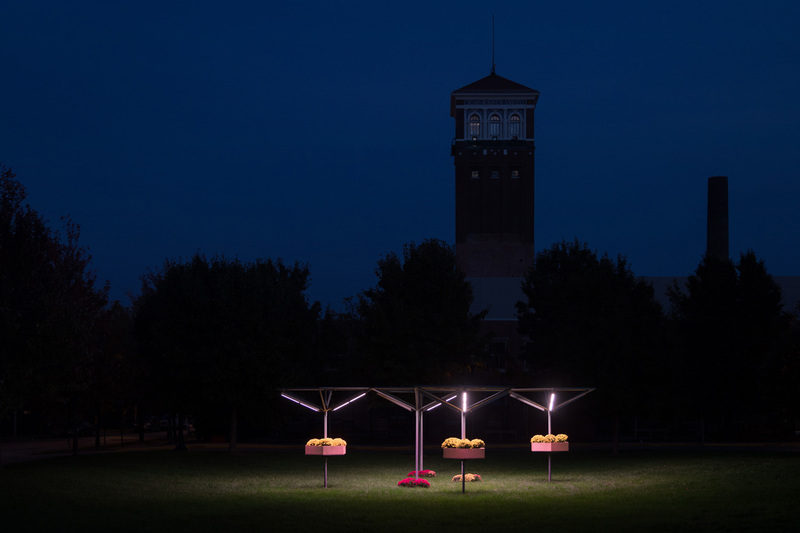 The course was organized by the SAIC Department of Architecture, Interior Architecture, and Designed Objects (AIADO) and the Shapiro Center for Research and Collaboration. 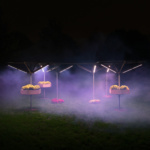 bLUMEN takes its name from the German word for flower, blume, and the latin word for light, lumen. 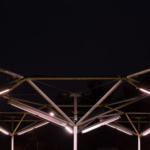 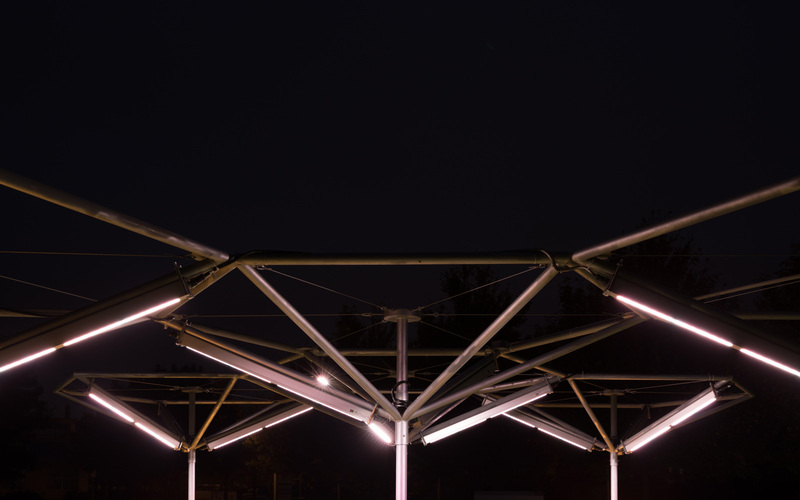 The installation is comprised of six 10-foot tall hexagonal steel canopies. 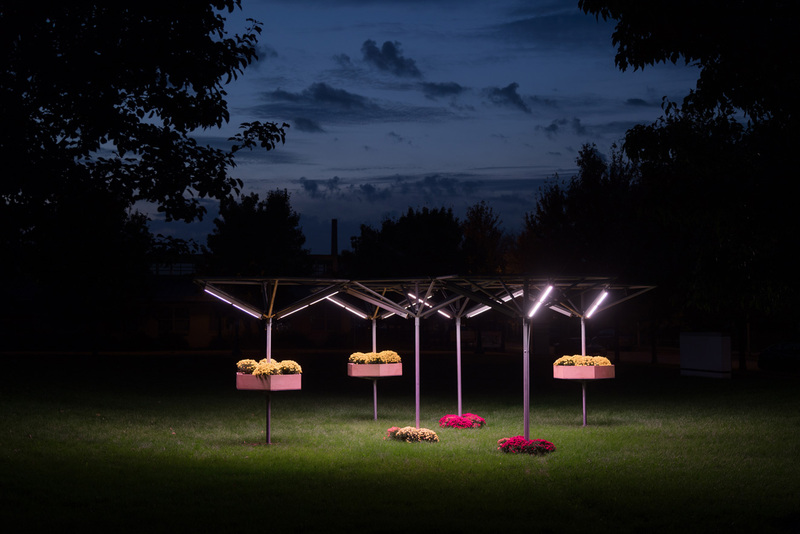 The canopy supports fifteen interconnected horticulture LED grow lights that help grow a handful of plants and vegetables. 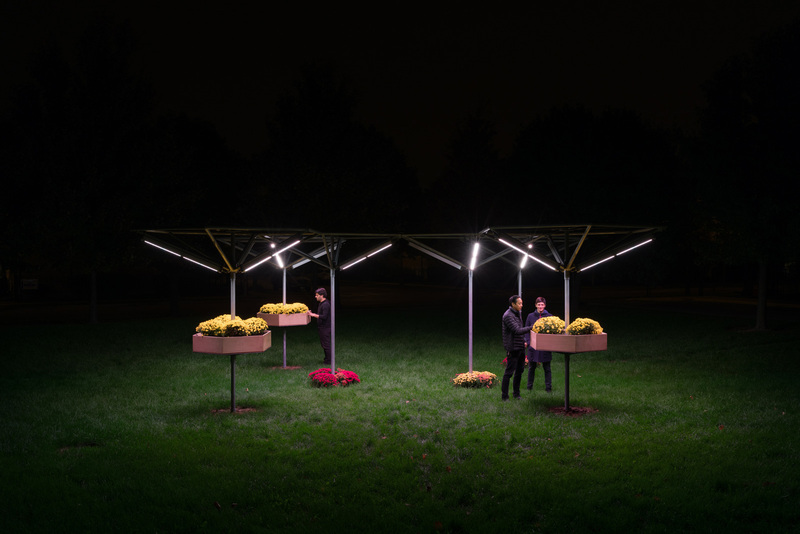 Situated on an underutilized site, bLUMEN was envisioned as a catalyst for community activity and social interaction. 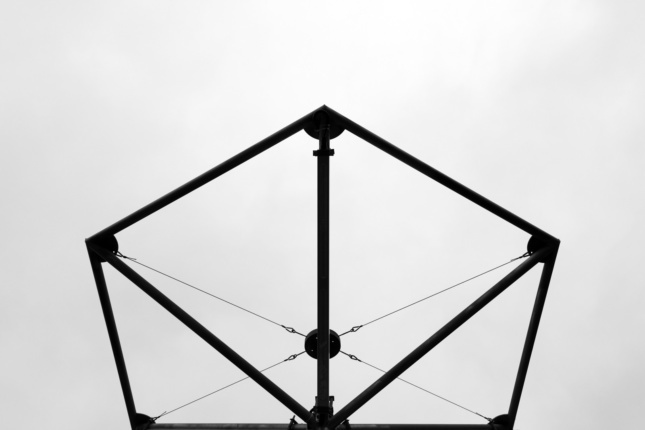 The West Side community of Homan Square is one of Chicago’s neighborhoods that suffers from a lack of access to healthy and fresh food. 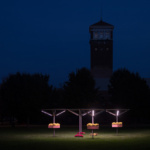 bLUMEN spotlights this issue, while providing a space for existing or new programs to gather, by day or night. 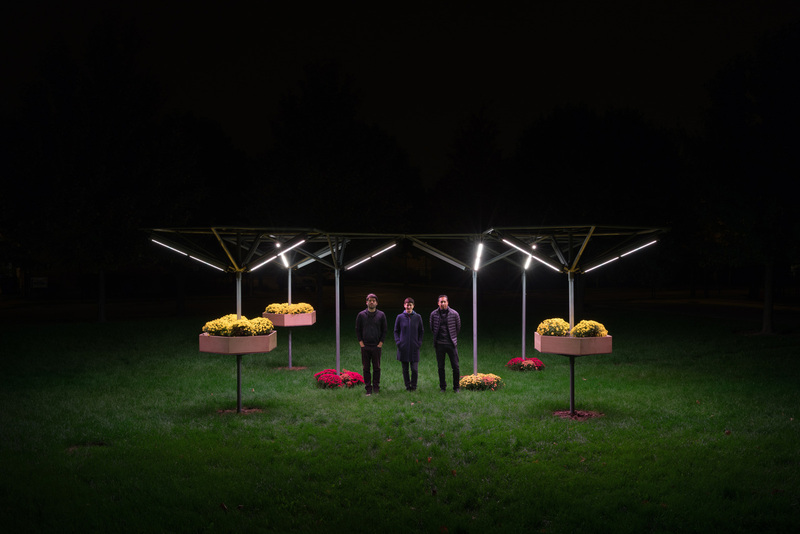 The 10 students involved with the project worked with engineers from Skidmore, Owings & Merrill (SOM) and metal fabricators, Active Alloys.